Two more documents from CIA Director John Brennan’s private email account have been released by transparency organization WikiLeaks, offering glimpses into the world of revolving-door government contracting. While Brennan worked for the CIA between 1980 and 2005, all the documents in the cache date to 2008, when he was running a private intelligence and analysis company, The Analysis Corp (TAC). WikiLeaks notes that in 2008, Brennan donated to Barack Obama’s presidential campaign, which hired TAC as a security adviser. Leighton later parlayed his FBI experience in jobs for Lockheed Martin and NBC Universal. There is nothing to explain why his biography ended up in Brennan's personal email, though. Another document is a list of 22 people that belong to what Wikileaks referred to as “a currently unidentified group.” A closer look at the names suggests the list might have been tracking prospects for the presidential transition team, which was being assembled by Brennan as part of TAC's contract with the Obama campaign. The list includes contact phone numbers, email addresses, places of employment, security clearance information and sensitive information like Social Security numbers and birth dates. After Obama was elected president, Brennan was appointed assistant to the president for homeland security and counterterrorism. 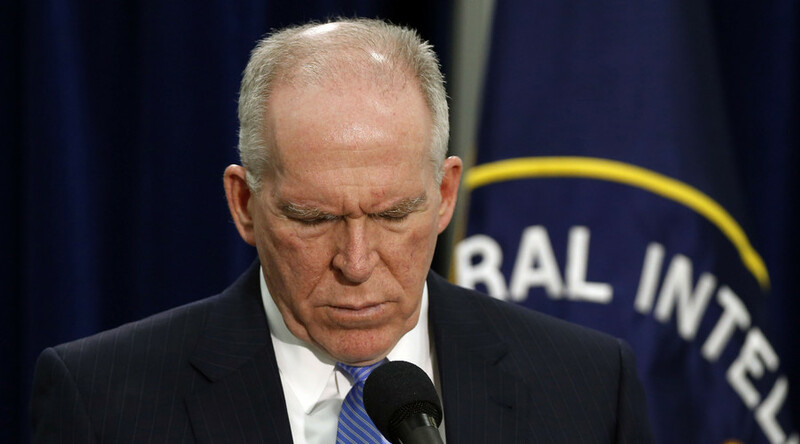 Brennan became director of the CIA in March 2013, after General David Petraeus resigned over a scandal involving giving his mistress access to classified information. The most recognizable name on the "Brennan group" list is Jeh Johnson, currently head of the Department of Homeland Security, who worked at a private law firm in 2008. Obama appointed Johnson the general counsel for the Pentagon in 2009. Judith Miscik, who left the CIA in 2005 to join Lehman Brothers, worked on intelligence matters for the Obama transition team before joining Kissinger Associates in 2009. Sarah Sewall worked as a foreign policy adviser to the Obama campaign, and oversaw the transition at the Departments of State, Defense and Homeland Security, as well as in the foreign assistance and intelligence communities. She currently serves as under secretary of state for civilian security, democracy, and human rights at the State Department. Lisa Brown went on to become the first White House staff secretary under Obama, before transferring to the Office of Management and Budget to work on government reorganization proposals. She is currently chief legal counsel to Georgetown University. Several other names on the list match up with the names of the Obama transition staff, which was made public in November 2008. Don Gips is listed as part of the agency review team, along with Brown. Others, including Johnson, are on the national security team: Jennifer Sims, Maureen Baginski, Adam Cohn, Robert Harding, Andrew Johnson, Don Kerrick, Edward Levine, Eric Pelofsky, James Schear and Caryn Wagner. The list also mentions Paul Kurtz, who worked at Good Harbor Consulting at the time. A cyber-security expert who served on President George W. Bush’s Homeland Security Council, Kurtz advised Obama on cyber-security, but declined the job of 'cyber czar' in 2009.